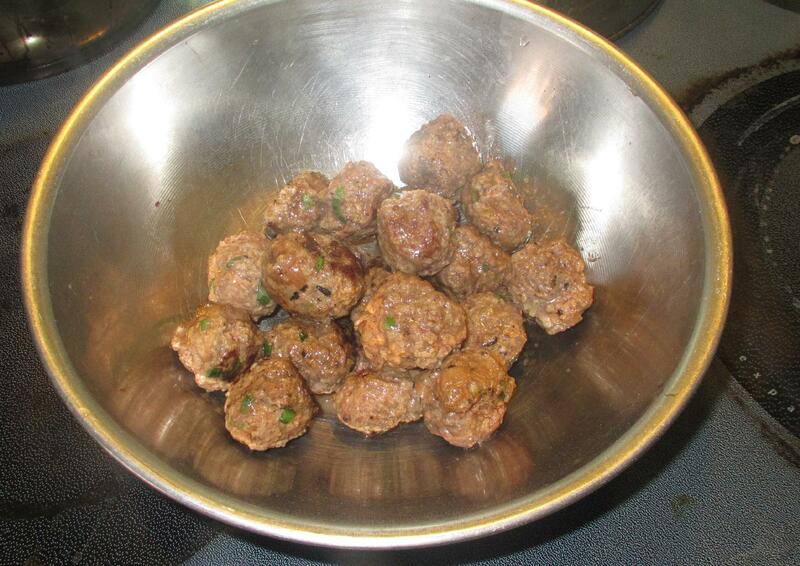 First, mix together the ground beef, scallion, ginger, salt and pepper and form small, walnut sized balls. 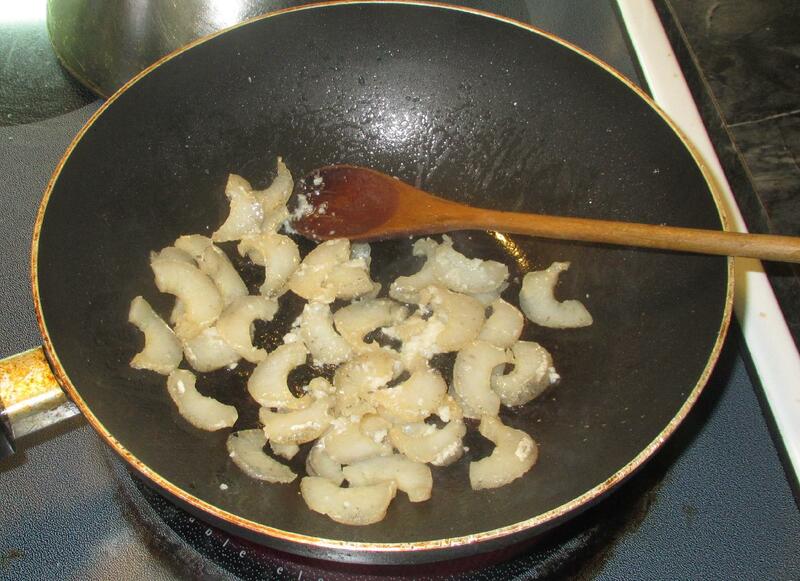 Pan-fry, or deep-fry the balls until they have a nice browning and set them aside. They do not need to be fully cooked all the way through at this point as they will be further cooked in the braising liquid a little later. 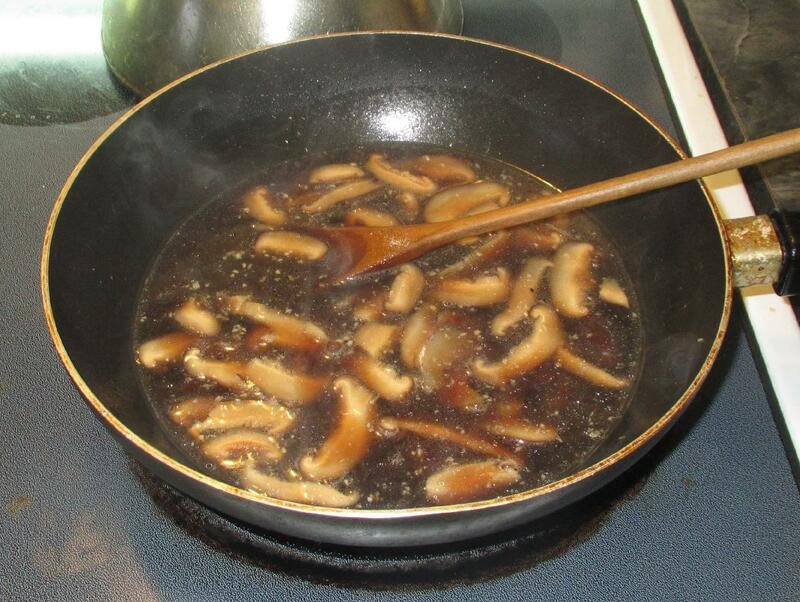 Remove the stems from the soaked mushrooms and slice the caps into thin strips. 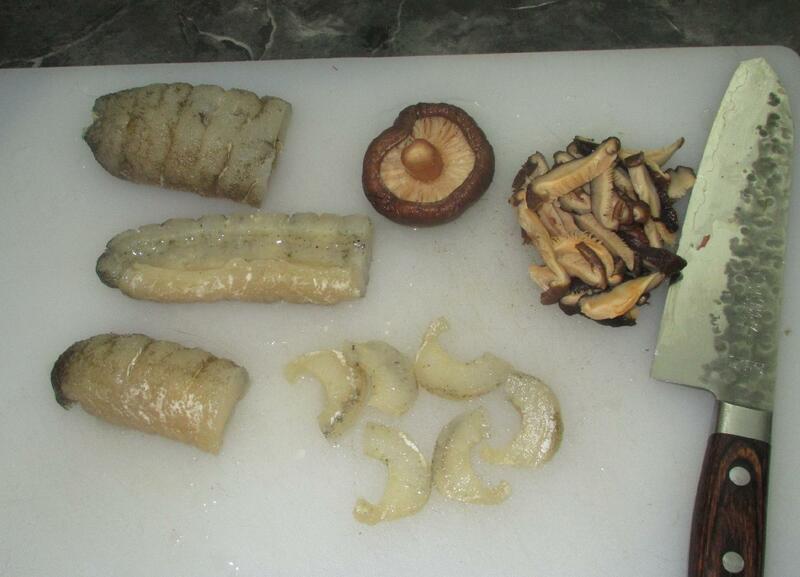 Next, slice the sea cucumber into two along the length and then cut each piece horizontally into thin pieces. Heat a tablespoon of either cooking oil or (better still) pork lard in a pan over moderate heat and sauté the sea cucumber pieces. When they take on a little color, stir in the garlic and toss until the aroma rises. 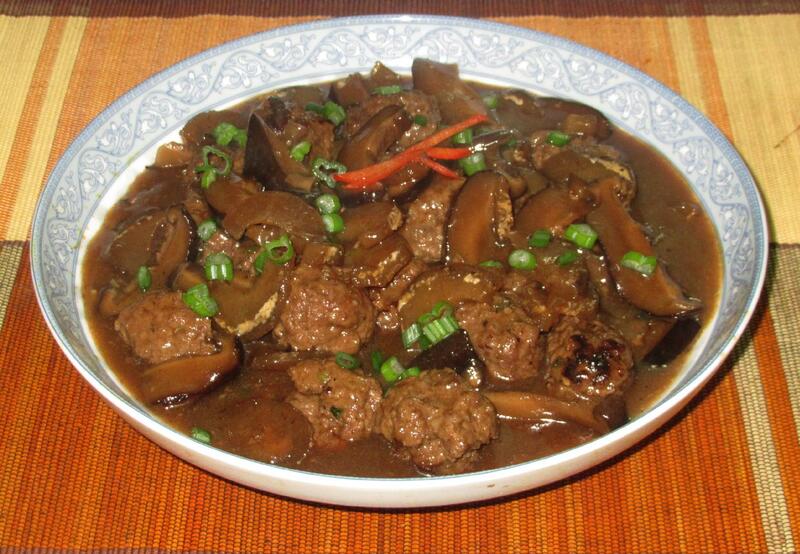 Add the mushrooms, stock, soy sauce, sugar and rice wine and when the pan begins to boil, turn down the heat to low. 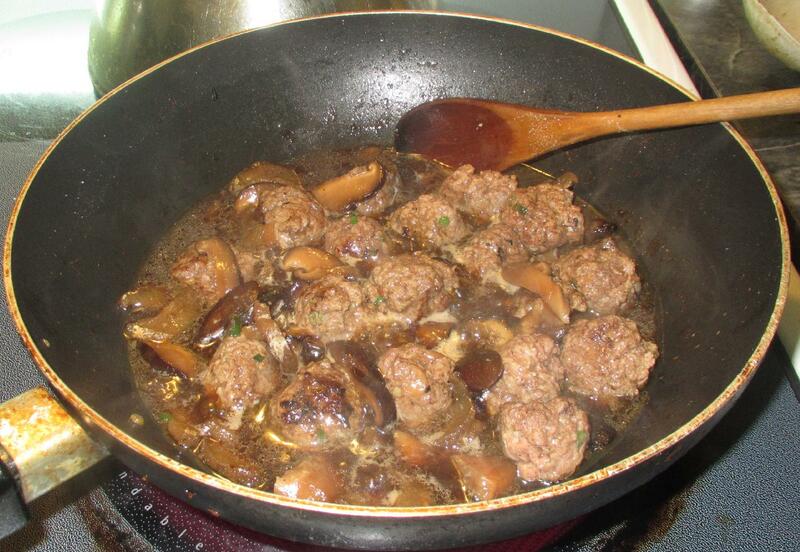 Simmer the dish until the liquid has reduced by about half and then add in the meatballs. 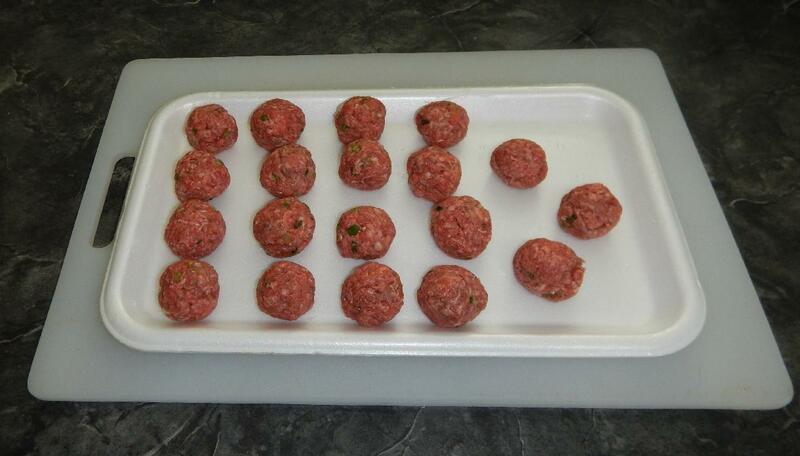 Continue to cook until the meatballs are cooked through and then turn up the heat. When everything starts to boil, thicken with the cornstarch mixture and remove from the heat. Plate, garnishing with some sliced scallion if desired, and serve hot.